You can improve reimbursement and reduce compliance problems with this consistent approach. 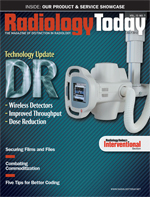 Coding inconsistencies happen too easily in hectic radiology environments where technical and professional billing processes often do not overlap. A busy technologist focused on providing the best care may miss the charge-capture updates needed to reflect a change in patient procedures or supplies used. A busy radiologist may interpret an exam using a different procedure name or view counts or may not have the documentation to support coding for a specific procedure even though the procedure was, in fact, completed. This disconnect often leads to lost or undercoded charges and a greater risk of compliance problems. Outside pressure adds to the inherent internal scramble in an imaging department. With Medicare administrative contractors (MACs) serving as the single payer for both professional and technical claims, consistency is even more important. Inconsistent coding between the professional and technical components will more likely be noticed by a single payer—resulting in denials, delayed payments, and increased compliance risks. What’s more, the looming ICD-10 transition will require deeper understanding of the building blocks of diagnosis than ever before, making clear, complete, and concise documentation even more important. These kinds of errors are usually reviewed only if claims are denied or audits are performed, making it difficult to quantify the amount of revenue lost. Learning how to manage proper coding and, at the same time, promote consistency and accuracy starts with a unified approach to documentation. It may seem to be a given—though any coder could tell you it’s not—but the best documentation habits begin with documentation that clearly identifies the exam performed, clinical indications, findings, and impressions. Documentation should always be clear and concise, using language that closely matches the CPT descriptors for the valid related code. From that starting point, it’s wise to include additional subsections, such as technique and comparison. Data for each section should be separate and distinct. • Exam titles should never be listed in the findings section or impression. • Clinical indications should be listed separately from the findings and impression. • Exam titles should have all elements for correct code assignment, including modality (eg, MR, ultrasound, CT, X-ray), anatomical site, views, and whether contrast was used. • Exams should be succinct—for example, upright, oblique, decubitus views of the abdomen CT chest with and without contrast. • Exam and clinical indication should be void of ambiguous, nonspecific, or unfamiliar terms or abbreviations. Avoid phrases without necessary descriptors, such as abdomen complete or abdomen series, or pulmonary embolism study. Many radiologists believe they do not or should not have to dictate a title if one is already provided in the order or by a technologist. Millions of coders would disagree. The reported CPT and ICD codes should not be coded from the orders or facility-entered data. The physician is ultimately responsible for the codes submitted and the final documentation. Too often the dictated note does not match or clearly support the ordered exam title, forcing coders to make assumptions using incomplete data or take the time to pursue the physician for clarification. To that end, coding isn’t just for the coding staff; it’s vital for physicians to have and maintain a working knowledge of CPT code requirements. Coding errors cost the average radiology practice the equivalent of a full-time coding professional and leave it vulnerable to substantial compliance risks. The most common challenges stem from either inadequate documentation, which leaves coders without all the details necessary to maximize reimbursement, or incomplete knowledge of latest coding practices. Consequently, undercoding leads to lost revenue, while overcoding threatens compliance. Put another way: Poor documentation creates a slippery slope to coding errors and lesser CPTs. For example, in obstetric ultrasounds, the amniotic sac is the most commonly missed element. It is separate from the gestational sac, and both are required in the documentation. With all ultrasounds, if any organ or element cannot be visualized, a clear statement of why needs to be included. Or consider that 3D documentation is required to support a CT angiography code. Per the American Medical Association (AMA), if 3D is not documented, a chest CT must be reported, regardless of whether a higher-level exam was ordered and performed. The same holds true for duplex studies. Both AMA and ACR guidelines assert that duplex studies must mention both color and spectral doppler imaging to support a duplex CPT code. Both examples present a series of similar roadblocks. If an exam is billed as incompletely dictated, the physicians end up receiving reduced payment because only the lesser service is documented. If an exam is coded incorrectly to reflect the complete or higher-reimbursement CPT code, an organization runs the risk of encountering noncompliance edits by submitting a claim that is not supported by the documentation. The steps described in this article can transform an organization from providing sloppy, inconsistent documentation into one that creates consistent, clear reporting of the facts. By identifying correct billing codes and extracting key clinical information, organizations can maximize appropriate reimbursement, reduce denials, and decrease outstanding accounts receivables while improving the efficiency of their coding organizations. — Tara Conklin, CPC, is a senior coding analyst with CodeRyte, which was recently acquired by 3M Corporation.